NetEnt was formed in 1996 and is one of the original developers of online casino gambling software. The firm has grown to have a global presence in the industry with operations in Sweden, Malta, Ukraine, and Gibraltar employing over 500 people. The company develops fully customizable and easy to integrate software with industry-leading stabilization, the games being available more than 99.9% of the time. Little fun fact is that the company won multiple categories at the EGaming Review awards. 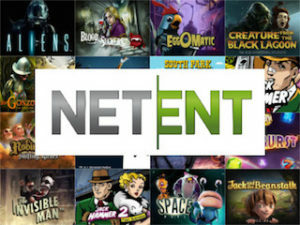 NetEnt develops a great range of desktop games, mobile games, live casino and branded games as well as pooled jackpots. 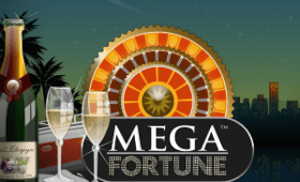 The Mega Fortune game by NetEnt is in the Guinness Book of Records for the biggest online slot payout ever of €17.9 Million. NetEnt games are certified by both eCogra and Gaming Labs international, who both offer independent testing on the integrity and fairness of casino software. They are also committed to responsible gaming, which is a prerequisite for the licenses the company holds. There are six varieties of roulette supplied by NetEnt to various online casinos around the world. We list the three most popular types you will find in most casinos when playing roulette for real money. The standard roulette has three varieties in European, American and French Roulette. These tables feature a wheel above the betting grid. Graphically these games are very good, especially when moving into full screen. Betting is very straightforward; simply click on a chip amount and then click on the betting area and you’re ready to go – any mistakes are easily rectified by either clicking the back button which will clear your last bet or the “X” button which clears all bets. The wheel is very clear and spins slowly meaning you’ll have no trouble following a particular number and no doubts about the final destination of the ball. Options at the table include bringing up a race track, opening a visually attractive statistics window and setting your own favorite bets. 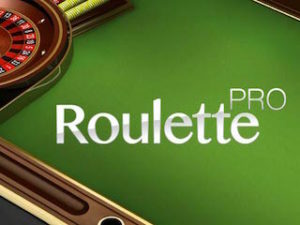 NetEnt also offers a Pro Roulette series. These have a different look with the wheel in the top left-hand corner in the Roulette Pro and in the top right-hand corner in the French Roulette Pro, with the betting area across the rest of the screen. These games feature an interactive stats window showing hot and cold numbers and percentages of both red and black and odd or even. You’ll be able to bet here on the group of four hot or cold numbers – a popular feature. The graphics are of a similar standard to their other roulette games, once again even better in full-screen mode. A fun roulette variation is the NetEnt Mini Roulette. This is played in a small window and when entering the game you’ll only see a small betting area. Having placed your chip and hit the spin button, a wheel will appear as an overlay and you’ll see the spin. This game only has twelve numbers, but red/black and odd/even betting is fully available as usual. NetEnt has an excellent range of casino software. Other than roulette, the table games you’ll find include Blackjack, Baccarat, Casino Holdem, Red Dog, Caribbean Stud, Pontoon and six varieties of video poker. Mini games feature Football Cup, Mini Blackjack and Starburst Mini. NetEnt also has seventeen different varieties of Scratch Card games, as well as Bingo, Keno and Golden Derby (a horse racing based game). However, NetEnt really come into their own when you see their selection of slots, currently numbering ninety-six. These feature a wonderful variety of different games, some based on popular films including Alien and Scarface and a South Park game. Some of the slots feature local jackpots, some pooled – the pooled games being Mega Fortune, Hall of Gods and Arabian Nights. NetEnt also features an excellent live dealer casino. Here you’ll be playing with a live dealer and bet based upon the outcome of the actual cards/wheel. These games are streamed in high quality and you’ll feel that you’re actually at the casino. NetEnt is the casino software supplier of choice for many online casinos, currently numbering seventy. None of these come bigger than Betsson, the Swedish gambling company who offer a sportsbook and a poker site alongside the casino. NetEnt and Betsson are a great combination, the range of NetEnt games at the casino complementing the other offerings at Betsson. When signing up to Betsson casino, you’ll be able to take advantage of a 100% match bonus up to £100. Existing customers can take advantage of the “Daily Treat” promotion, with a different offer every day of the week, including cash back, free spins, boosted winnings, bonuses, and entries to tournaments.